Machinery Trade International is a respected and trusted source of editorial. Through a combination of industry news, product innovations and the latest end user application stories, MTI keeps its readers up to date with the latest developments across the globe. 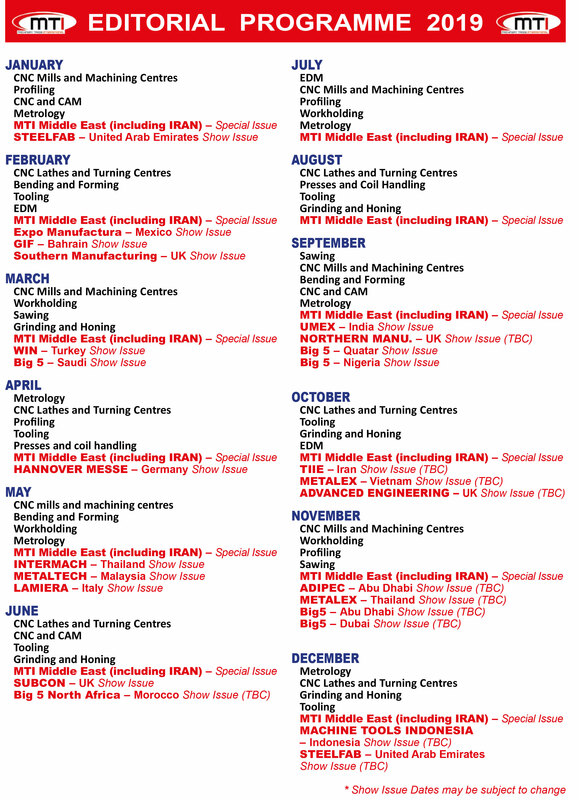 Machinery Trade International covers the entire metal cutting and metal forming spectrum. Production engineers, managers and directors keen to stay abreast of the latest manufacturing technologies and industry trends should bookmark this page. Anyone wishing to submit editorial can do so by sending an email to the editor, Steed Webzell.